In my current vocational role at Care Net, the Christmas story is especially significant, as it deals with the most famous “unplanned” pregnancy in history. Earlier this year, my wife and I went to Orlando to celebrate my mom’s birthday. While there, she gave me a figurine of the Holy Family. It was originally my grandparents’, and my mom thought I would appreciate it given my life’s work to strengthen fathers and families. The representation of Joseph as a significant presence and guide in the family is uncommon. He and Mary are united in love and marriage and their child is safe. Now a cherished fixture in my office, this visual is a daily reminder of eternal priorities and perspective. 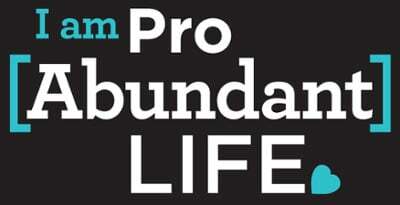 It gives laser focus to my efforts to equip churches and pregnancy centers in offering compassion, hope, help, and discipleship to men and women facing unplanned pregnancies. 1. The Holy Family is an “icon” that invites unity from all three branches of Christianity. 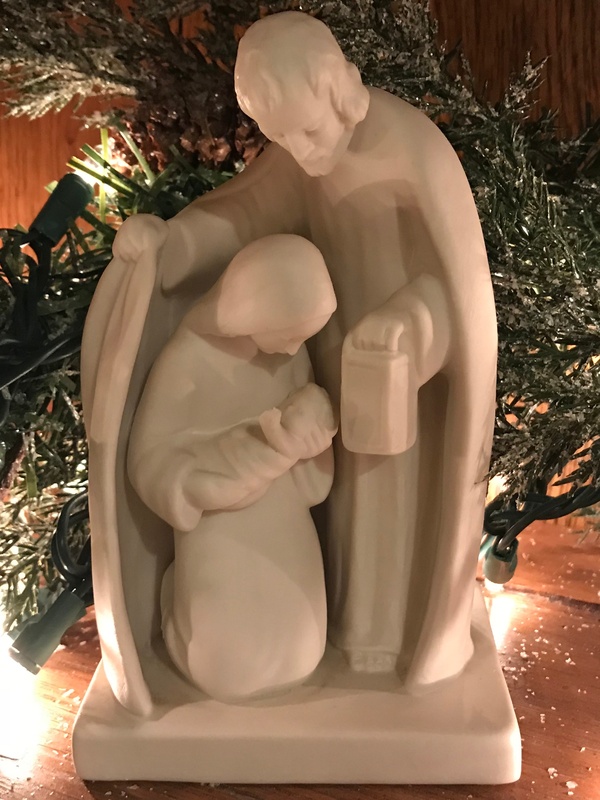 I’ve written more about this here, but all churches—Orthodox, Roman Catholic, and Protestant—use and love the nativity story. Further, the Christmas traditions of most Christian families include setting up a manger scene. Children grow up playing with and being fascinated by it. Baby Jesus gets carried around and many of us have even seen baby Jesus’, cows, donkeys, etc. with broken arms or legs because they’ve been played with so much! It’s an all-too-common example of the unwarranted hesitancy—again, even in the Christian community—to acknowledge the nuclear family’s existence and extol its virtues. Yes, the extended family (grandparents, aunts, uncles, etc.) is also important in raising children and should be valued and affirmed. This is no reason, however, to dismantle the nuclear family or denigrate the model in which Jesus himself was born into and raised. Indeed, you can’t have an extended family without a nucleus. Moreover, many individuals and social workers today have no choice but to focus on extended kin because the nuclear family is weak, fragmented, or non-existent. 3. The Holy Family is a picture that focuses us on gospel potential. Helen Keller famously said, “The saddest thing in the world is a person who can see but has no vision.” Here’s how this applies, for example, in ministry to the abortion-vulnerable: When a client comes into a pregnancy center considering abortion, or a pregnant mom comes to us for help, what should we see? Certainly, we should see the vulnerable life of an unborn infant. Life-affirming work, however, isn’t just about saving a baby; it’s about raising a child. If this is true, we should see dads as potential Josephs who have unique and irreplaceable roles. And if we are in synch with Jesus’ vision for the world, we’ll recognize idols of the heart, too: convenience, a woman’s body elevated over the that of a baby, adult plans and potential held as more important than a child’s, etc. 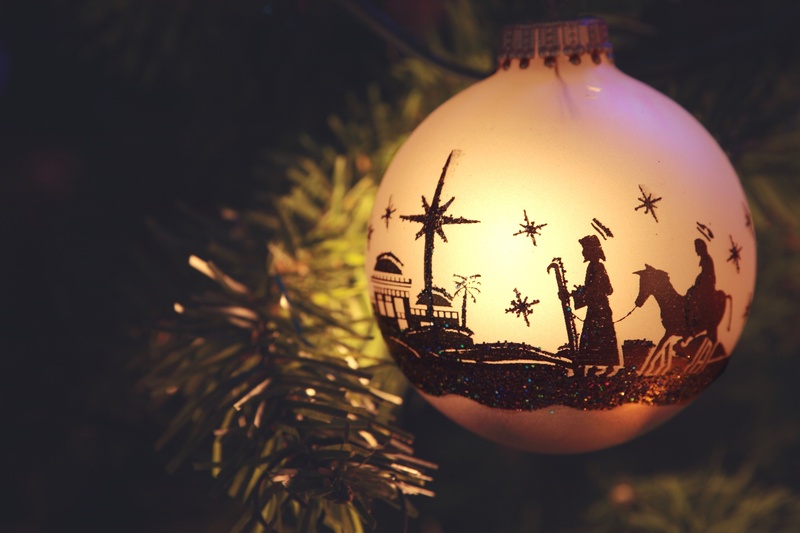 Friend, God has blessed us more than we know with the biblical story of Christmas. It’s a primary way to pass on the Christian faith. As a mom, dad, ministry worker, family member, or friend, you are a storyteller of a nativity narrative. What’s more, in dependence on God, you can become an intentional conduit to see that story played out in the lives of all those who receive him (John 1:12). May the joy and peace of Christ be with you in fullest measure this season. Merry Christmas!